With a higher consumer buying power index over other social networks, it’s understandable why 71 percent of consumer marketers in North America are using LinkedIn, a 39 percent increase over the previous year. If you’re a B2C marketer looking to engage “Prosumers” on LinkedIn, take a cue from these inspiring consumer brand examples. With its “Innovation Class” campaign, Delta Air Lines is giving current and future customers an opportunity to sit next to a leader in their field on a Delta flight to an industry event. To facilitate engagement, Delta is leveraging a custom LinkedIn API to invite consumers to sign up using their LinkedIn account. Professionals are able to nominate themselves and a LinkedIn connection for a chance to learn, share ideas, talk about goals or even collaborate on a project with a specifically selected mentor. And it doesn’t stop there – the brand is using a suite of LinkedIn products, including Sponsored Updates, to promote the program in members’ personal feeds. Nominated connections will receive an InMail inviting them to engage with “Innovation Class,” where they can follow Delta, watch videos, discover upcoming events and read about previous events. The dedicated Showcase Page allows Procter & Gamble to drive engagement with a specific audience through messaging that aligns with the aspirational mindset of the LinkedIn platform. After a successful Sponsored Updates campaign in which Mercedes-Benz USA increased awareness and engagement for its 2014 S-Class and E-Class lines among professionals and senior-level executives, the luxury auto brand is once again connecting with consumers on LinkedIn. Recommending a colleague or peer on LinkedIn is nothing new. Winning them a two-year lease on a Mercedes-Benz is. We believe that great performance deserves great performance. So tell us about someone who exemplifies the teamwork and innovation that went into the game-changing 2015 C-Class. You might earn them the performance bonus of a lifetime. 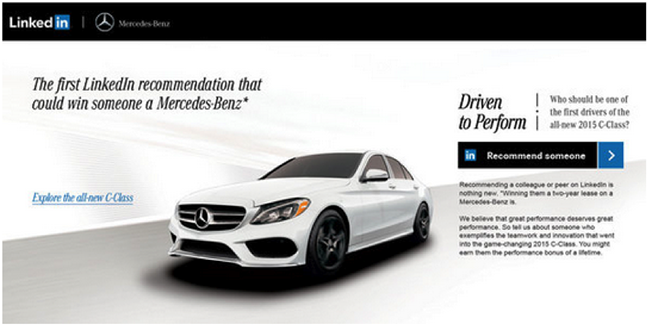 Learn more about Mercedes-Benz “Driven to Perform” campaign. If you’re looking for unique ways to connect influential consumers with your brand, contact us today. 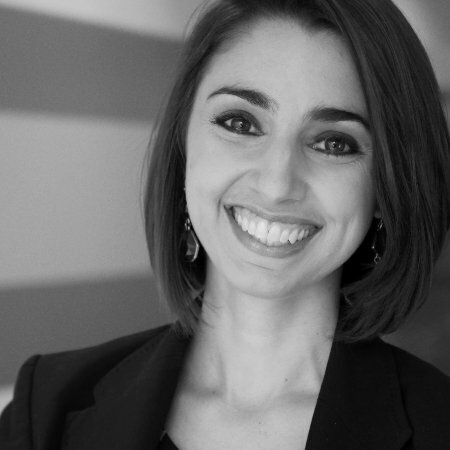 We’re excited to help you get started with B2C LinkedIn marketing.